. ODC Cargo Transportation. Chemical Tanker Transportation. 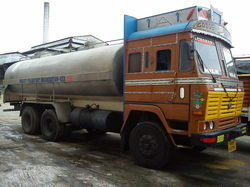 Oil Tanker Transportation. Milk Tanker Transportation. Container Body Truck Transportation etc. Owing to our vast industrial experience in this business, we are involved in providing a range of Tanker Vehicles Service to our clients. 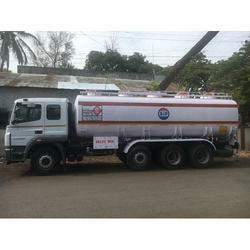 These Tanker Vehicles Services are performed taking into consideration every aspect to assure customize and safe delivery. We have a strong network which results in excellent operation. Vegetable oil, Petroleum, Molasses, Alchol, & Chemicals.